This book offers practical advice on cooperating with God’s transforming work of making us more like him. Humility is the soil in which your trust in God can grow. Humility is the soil in which love and gratitude grow. If you’re smart, you’ll learn humility. Humility opens the door for a flourishing relationship with God and with your family, friends and co-workers. With humility, we become ready to learn from anyone, anywhere, anytime. Humility is foundational for us all. It touches every single aspect of life. It’s the core of who Jesus is, and who he calls us to be. What if we could imagine living in our neighbourhoods in a way that transformed our whole outlook on faith, hope, and love? Preston Pouteaux writes about how an unlikely journey into beekeeping changed how he saw his neighbours. The Bees of Rainbow Falls reminds us that we matter to our community, that goodness is found all around us, and that new life emerges out of the small and sublime. 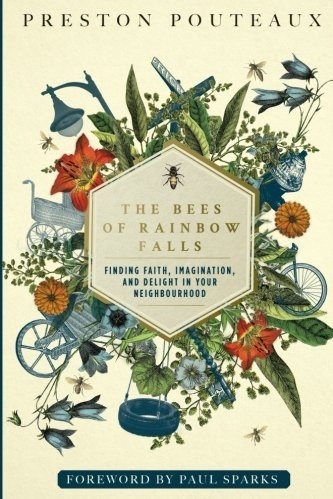 With the quirky curiosity of a beekeeper and the thoughtful care of a pastor, he gently welcomes readers to step into their own neighbourhoods. What if the very best gift was waiting for you just beyond your front door? If you love your neighbours, you should invite them to church, right? Wrong. Loving your neighbours isn't about getting them to join you on Sundays. It's about living your faith right where you are and BEING the church to the people around you. This flexible guidebook will help you, your small group, or your church get started in neighbourhood ministry and missional living. It includes ideas for group meetings, practices to help you develop a better spiritual life, and real-life ideas for reaching out to your neighbourhood. If you really want to know your neighbours and love them like Jesus would, don't invite them to church. BE the church.